Your privacy is important to us. It is our policy to respect your privacy with any information we may collect via our website. We may collect personal information that can identify you as an individual. This could be when you subscribe to the newsletter, fill in a form or through other services, features or resources we make available on our site. You may visit our site anonymously if you wish. By visiting www.designthinkersacademy.co.uk you aren’t disclosing any personal data – you only disclose personal information by filling out one of our online forms. However, we may collect non-personal information about users whenever they interact with our site. Non-personal information may include the browser name, the type of computer and technical information about the way people connect to our site, such as the operating system and the internet service providers used – plus other similar information. • To fulfil an enquiry or order. • To improve our site, products and services. • To send periodic emails. If you decide to opt in to our mailing list, you will receive emails that may include company news, updates, related product or service information, etc. If at any time you would like to unsubscribe from receiving future emails or update your preferences, we include easy instructions at the bottom of each email on how to unsubscribe. We will check routinely that we hold the correct information about you on our mailing list and still want to receive emails from us. We work with carefully selected service providers that carry out certain functions on our behalf to help fulfil your requests and orders. These include, for example, companies that help us with storing information or sending out emails to our contacts. We only share personal data that enable our service providers to provide their services. We may share non-personal information with our business partners in the Design Thinkers Group, subcontractors, DK&A or with search information providers. We use computer safeguards such as firewalls and data encryption. The ‘s’ in https at the beginning of our web address stands for secure. It means all communications between your browser and the website are encrypted. We have access controls to our buildings and files to keep information safe. We only allow information access to employees who need it to carry out their jobs. We have been assessed against the cyber essentials requirements dated June 2014. 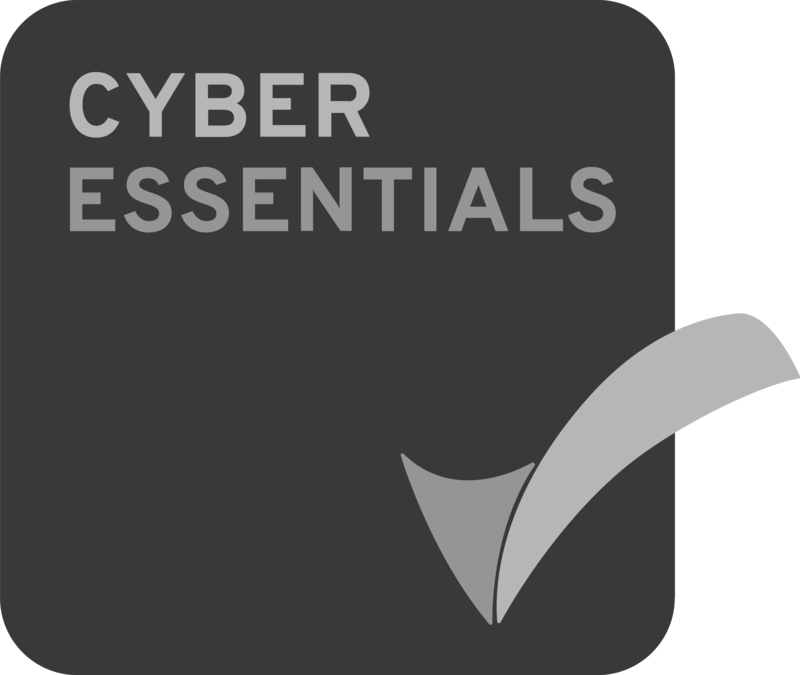 Cyber Essentials Certification indicates that our organisation has implemented a sensible baseline of requirements such as Internet facing infrastructure. Including firewalls, routers, end user devices and hosted systems located in the United Kingdom. • Strictly necessary cookies. These are cookies that are required for the operation of our website, if you turn these off you may lose some of the functionality of the site. • Functionality cookies. These are used to recognise you when you return to our website. This enables us to personalise our content for you and remember your preferences. You may find content on our site that links to the sites and services of our partners or other third parties. We do not control the content or links on these sites and are not responsible for the practices of websites linked to or from our site. Browsing and interaction on any other website, including websites that have a link to our site, is subject to that website’s own terms and policies. You may not link the DTA London website to your own website without DTA London’s written consent. The registration onto a DTA London course is entering into a binding contract between you and Design Thinkers Academy London (part of DK&A Ltd). By registering to attend a UK course, you are accepting these terms and conditions and agreeing to comply with them. If, after paying for a course, you need to cancel more than 30 days before the course start date, you must inform Design Thinkers Academy London in writing. You may choose to transfer the space to a new participant within your organisation, transfer to a later course date or have a partial refund (see table below) if the other 2 options are not suitable. Please note that you can only transfer to a new date once. If you do wish to transfer a second time, this will result in a new invoice with no refund entitlement for your previous booking. No refunds are permitted within one month of the start date or if you fail to attend the course on the day. You are permitted to transfer your space to a new date within 30 days of the course start date with an additional 15% admin fee of your course fee, with a cap of £250. If you are cancelling because of illness, upon the production of a doctor’s certificate you may transfer your place to a later date for the same course at no extra cost. you can move to a later course for an administration fee of £25. If you do wish to transfer a second time, this will result in a new invoice with no refund entitlement for your previous booking. *The above administration fees apply to one change to your booking, additional changes may incur extra charges. Booking is confirmed upon receipt of full payment. Payment to secure a place on our courses can be made via WorldPay online or via BACS transfer. All Early Bird payments must be received by the advertised Early Bird deadline. Failure to meet the deadline will result in a re-issue of a new invoice, reverted to standard course rate. If you wish to book at short notice, with less than 30 days before a course begins, we will require immediate payment to secure your place. Failure to make payment by the last working day before the course will result in your place being cancelled. We offer a sliding scale discount offer for up to 6 bookings from the same organisation on our Fundamental and Bootcamp courses and up to 4 delegates from each company on our Facilitation course. The UK standard rate of VAT applies to all our course fees when they are held in the UK. Under EU rules, the Design Thinkers Academy is classified as a training company not an educational body. UK course fees are deemed to be an ‘entrance to an event’ for which VAT applies at the current local rate of where the event is taking place. We may be able to offer a credit facility to corporations that provide us with an authorised Purchase Order, however this is subject to a successful credit application. If you require more information, please contact bookings@designthinkersacademy.co.uk. DTA London reserves the right to cancel or change, without notice, any session or course offered on the programme. DTA London will endeavour to offer a place on the same course at a later date or a place on an alternative session or course. Where this is not possible or you don’t want to accept the alternatives offered, DTA London will offer a full refund. DTA London are not responsible for participants’ expenses such as travel, meals and accommodation if we have to cancel a session or course. DTA London shall not be liable for any failure of or delay in the performance of this agreement for the period that such failure or delay is due to causes beyond its reasonable control, including but not limited to acts of God, war, strikes or labour disputes, embargoes, government orders or any other force majeure event. Photography and filming may take place during our courses. By attending, you agree that we have permission to use these photos and footage at our own discretion for marketing purposes. All materials and handouts provided by Design Thinkers Academy London during workshop sessions are free to use, however they are under copyright and are owned by Design Thinkers Academy. Alumni do not acquire ownership rights in an of these materials and agree not to reproduce, modify or distribute any of these materials received from or provided by Design Thinkers Academy London. Please contact us if you would like us to provide you with branded materials and tools for project use. We make every effort to ensure that the website is free from viruses, however, Design Thinkers Academy London (DTA London) gives no warranties that it will always be virus-free. You are responsible for ensuring that you have installed adequate and up-to-date virus-checking software on your own devices. This website is owned and operated by Design Thinkers Academy London, a division of David Kester & Associates Limited, whose registered address is 13 Princeton Court, 53-55 Felsham Road, London SW15 1AZ, UK, and registered company number is 08874623. The website and its content are governed by English law. All parties are required to comply with UK legislation relating to websites and e-commerce. From 25 May 2018, we will comply with new laws on handling personal data within General Data Protection Regulation (GDPR). For reference see the Information Commissioners Office (ICO) and Alternative Dispute Resolution (ADR). If you would like to find out what data we hold on you then please address your query to Sophia, our Data Protection Officer.